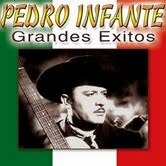 Pedro Infante interpretes the role of historic Mexican composer Juventino Rosas in "Sobre Las Olas". Of all the world’s language groups, the most fascinating and sophisticated film output derives from the Spanish-speaking countries of Europe and Latin America, with their diverse and unique historical experiences and cultural points of view. Mexico, the acknowledged cultural capital Latin America, boasts a particularly rich cinematic history derived from its immense catalogue of movie production. 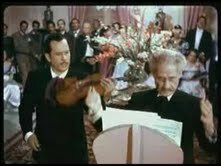 The four-movie collection entitled “El Cantante” provides a sampler of 1940s musical comedies featuring the amazingly wide range of composer, musician, singer and actor Pedro Infante. Infante was a wildly versatile musician adept at the violin, flute, guitar, piano and even the tuba, and boasted an exquisitely trained baritone voice, which, combined with his matinee idol looks, elegant personality and exquisite comedic gifts, made him adept at a wide range of movie genres. In “Sobre Las Olas” (“Over the Waves”), directed by historic Mexican film director Ismael Rodriguez, Infante interpretes the role of Juventino Rosas, 19th century Mexican composer, genius, drunkard and all-around wildman, who died in self-imposed exile in Cuba, and whose remains were repatriated to Mexico in 1909 with full national honors. “Sobre Las Olas”, which is named for a waltz Rosas composed that became a runaway worldwide hit, eventually even becoming the longtime theme song for an American beer commercial, presents a striking portrait of 19th century civil society in Mexico, including the President of the Republic, who pardons Rosas for deserting the army and stealing a government issue tuba, on the condition that he conduct the country’s national orchestra playing his waltz at the presidential palace for its New Year celebration. This film won the Mexican award for best picture of 1950. The Argentine production “Doble O Nada” (“Tangos Are For Two”) is set in Buenos Aires of 1933, when the country is gripped in an adulatory frenzy for French-born tango singer Carlos Gardel, which was equivalent to that of Michael Jackson in its intensity. Small time tango singer Renzo Franchi becomes a Gardel impersonator and is propelled into a turbulent and ultimately tragic web of deception. The luxurious sound track of tango hits and evocations of the extravagantly sensuous women of Buenos Aires kept this reviewer mesmerized from beginning to end. 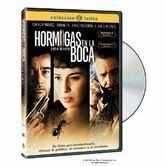 Made in 2005, “Hormigas En La Boca” (“Ants in the Mouth”) is a taut, anxious Cuban film noir recounting the adventures of Spanish gangster Martin Losada in pre-revolutionary Havana, where he attempts to retrieve the proceeds of a bank heist that his ex-girlfriend, Julia, has smuggled into Cuba. Julia is now the wife of a murderous politician, Freddy, and Martin on several occasions barely escapes hideous mutilation and murder at the hands of Freddy’s barbaric associates. The film reaches its murderous climax on New Year’s Eve, 1959, even as Fidel Castro’s revolution is at the gates of Havana. The sound track to “Hormigas”, featuring exquisite Cuban music, is almost too rich, and the wealth of that country’s lovingly preserved antique American automobiles is enough to bring tears to the eyes of the viewer, as are the luxuriously appointed men’s and women’s fashions. But, not surprisingly, it is the Spaniards themselves who are the undisputed masters of Spanish language cinema. The 1998 production “La Niña De Tus Ojos” (“The Girl of Your Dreams”) presents the almost obscenely beautiful Penelope Cruz in a comedy about a troupe of Spanish film actors who are dispatched by the fascist Spanish authorities to Nazi Germany in 1938 to act in a joint Spanish-German production based on a nineteenth Andalusian drama. Even though they are nominally fascist, the Spanish actors and actresses are horrified and repelled by German barbarity, and when German propaganda minister Joseph Goebbels takes a fancy to Spanish star Macarena Grenada, interpreted by Cruz, the film descends from the realm of buffoonery to that of desperation and despair. “La Niña De Tus Ojos”, propelled by its innovative screenplay, marvelous ensemble acting and the remarkable versatility of Penelope Cruz, is a feast for the intellect as well as being a remarkable visual experience. It swept the Spanish film academy awards, garnering nine “Goyas”, as they call them. While the Pedro Infante films are antiques, only of interest for their cultural and anthropological value, the other films reviewed here impart a modern relevance and immediacy that far transcends their Hispanic target audience. The themes are gripping and the production values are all of Hollywood quality. If these films were dubbed into English, I feel that they would definitely be suitable for wide distribution on the cable channels. Maybe they have already gotten traction in Europe. I have no way of knowing. But, given the shallowness of the American domestic product, with its 40 year-old virgins and ghastly Julia Roberts retreads, I cannot but feel that these marvelous Spanish-language productions, if expertly dubbed in English, would find an audience in the U.S cable market.